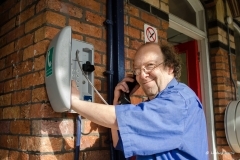 At Parkstone Railway Station, Lower Parkstone, Poole, Dorset. 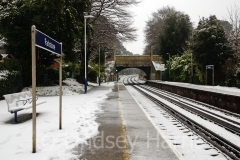 Parkstone station is in Station Road, Lower Parkstone, midway between Poole and Branksome railways stations. Operated by South West Trains, the Station serves the Parkstone area of Poole. Parkstone station has two platforms and is mainly brick-built with large wooden canopies, with access to the ‘down’ line (Poole direction) line via an iron footbridge. The bridge used to have a glazed roof, but it has now been removed. 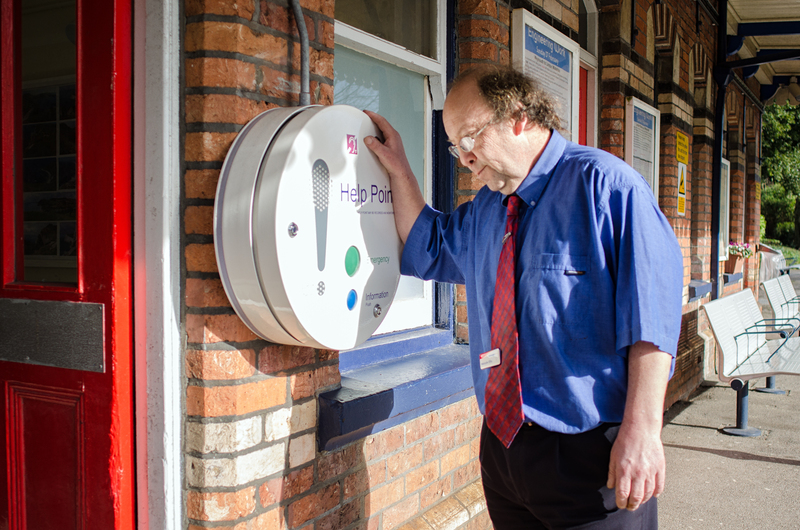 The waiting rooms and canopy were removed from the ‘down side’ platform and have been replaced with a smaller shelter. Until 1967 a branch goods line ran from Parkstone Station to the George Jennings South Western Pottery. Until 1922 the line extended from the Pottery to Salterns Pier, on the northern shores of Poole Harbour. 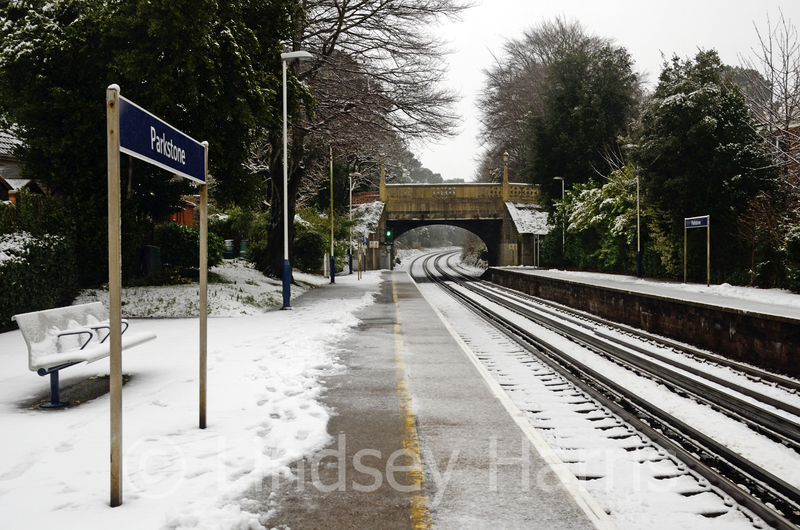 Parkstone’s platform sign used to say “Parkstone for Sandbanks”. 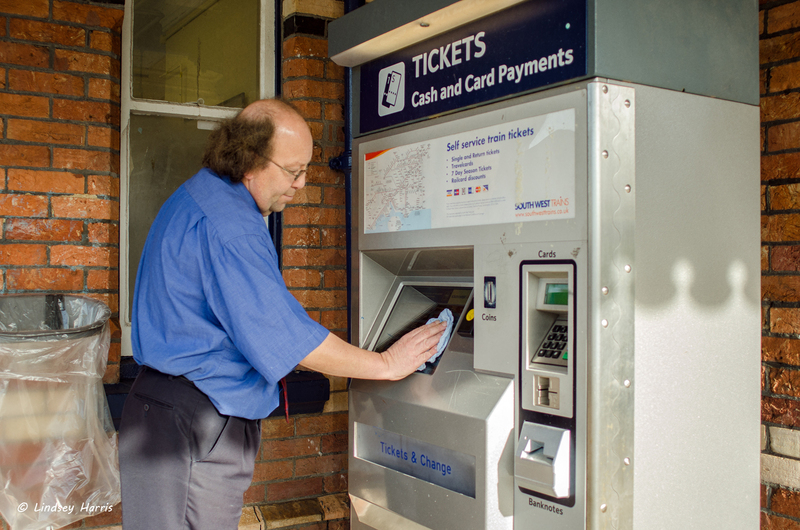 Parkstone Station has one part-time staff member, Malcolm Ellis, who sells tickets and also keeps the station spick and span and free from litter. Malcolm has planted bulbs on the banks of the station, keeps the hedges trimmed and the waiting room is a gem of railway memorabilia.